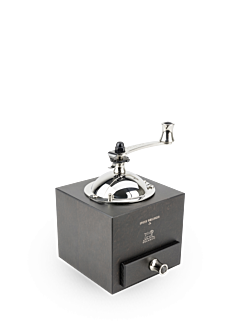 Elegance, purity, authenticity and timelessness. 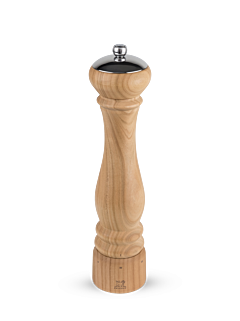 To bring these values to life on a daily basis, Peugeot has imagined a range of wooden pepper mills, combining noble materials with its historical savoir-faire. 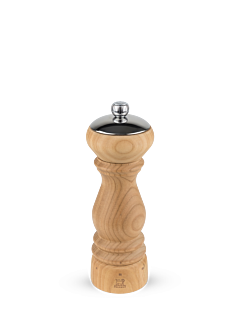 Proud of its rich historical roots, still deeply anchored in Franche-Comté, Peugeot wanted to pay homage to the forests of its native land by designing a wooden pepper mill that is as beautiful as it is functional. 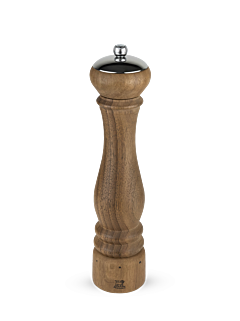 In beech, cherry, walnut or olive wood, natural or tinted, always varnished, mostly derived from French forests, and PEFC certified, the Peugeot wooden pepper mill magnifies and respects these materials and reveals their veins and irregularities, and everything that makes them unique. 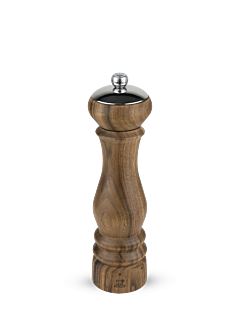 Each Peugeot wooden pepper mill is a unique piece, rare and precious and designed to awaken the senses. 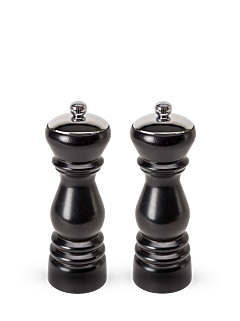 First, the visual aspect, with the emblematic Peugeot lines, understated, elegant, both part of classical tradition and of modernity. 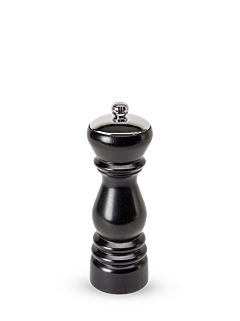 Second, the tactile quality, warm, smooth and soft as only finely polished wood can be. 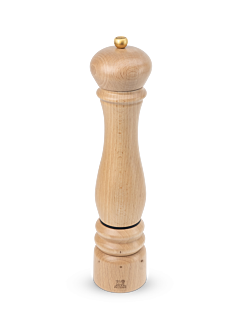 Third, the sound, because the serenity provided by the wood increases the unique sound of peppercorns as they are being cracked and ground by the double row of helical teeth. 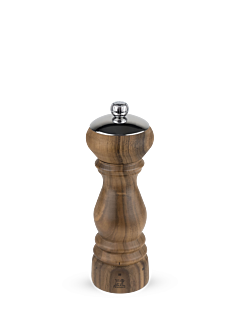 Four, the sense of smell, with the progressive diffusion of the power and diversity of the perfumes released by the peppers of the world, enhanced by the scent of the wood itself. 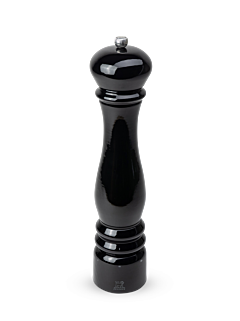 Finally, the taste, when the grind produced by the action of the exclusive mechanisms in durable, high-quality, high-performance steel, patented and guaranteed for life and designed by Peugeot, awakens the flavours of even the simplest of dishes.